Norma Feury is a resident of White Sulphur Springs and has owned and operated a Bookkeeping and Tax Service for the past 25 years. 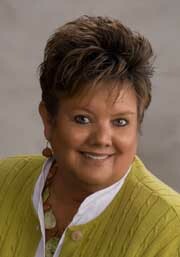 Norma has 8 years of professional real estate experience and previously owned and operated Checkerboard Realty. Norma enjoys spending time with her family and friends, especially her grandchildren and nieces and nephews. Norma looks forward to providing professional real estate service to all of her previous clients and looks forward to the opportunity to help new clients that are looking to buy or sell real estate. You can contact Norma at NormaFeury@aol.com or 304.536.3474. *GRI (Graduate, REALTOR® Institute) – GRI is a nationally professional real estate designation. This designation may only be earned after successfully completing a rigorous educational program that includes 92 hours of live course instruction from a statewide faculty selected because of extensive experience in their own areas of expertise. This designation is available only to members of the local, state and National Association of REALTORS®.